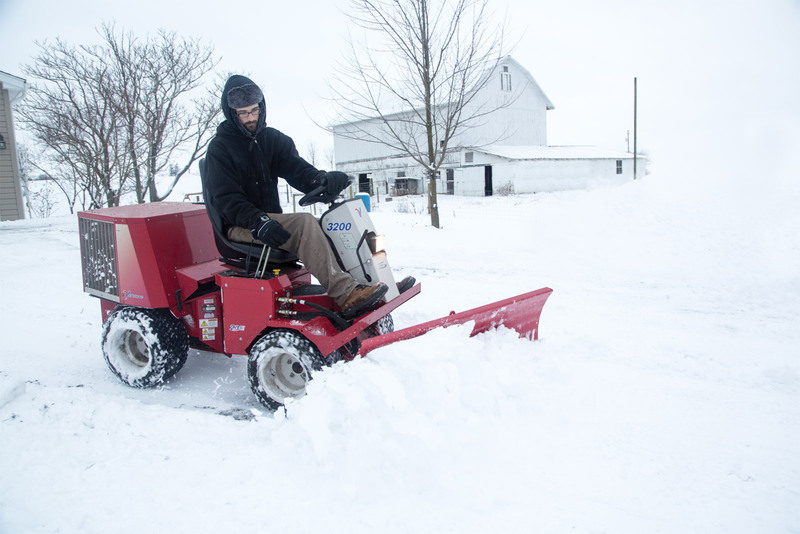 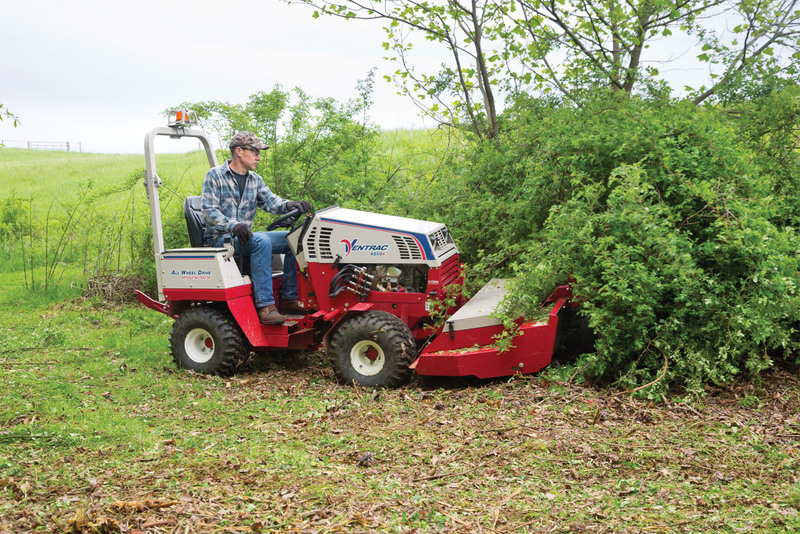 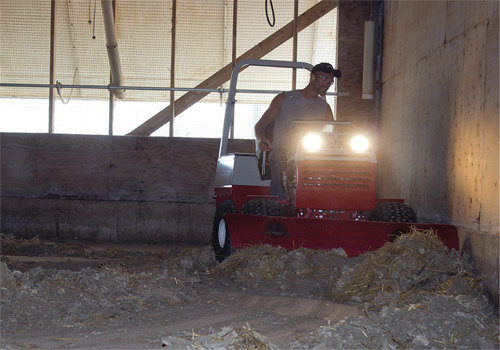 Poultry farmers are discovering the benefits of Ventrac around the farm. 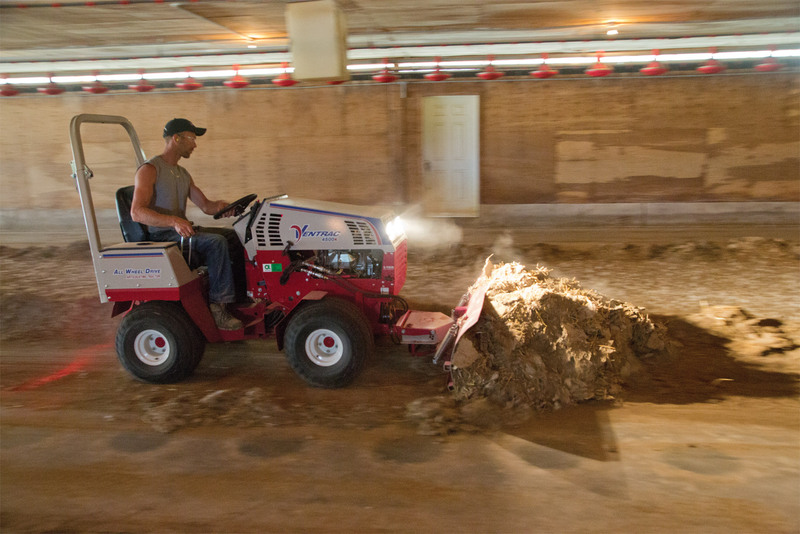 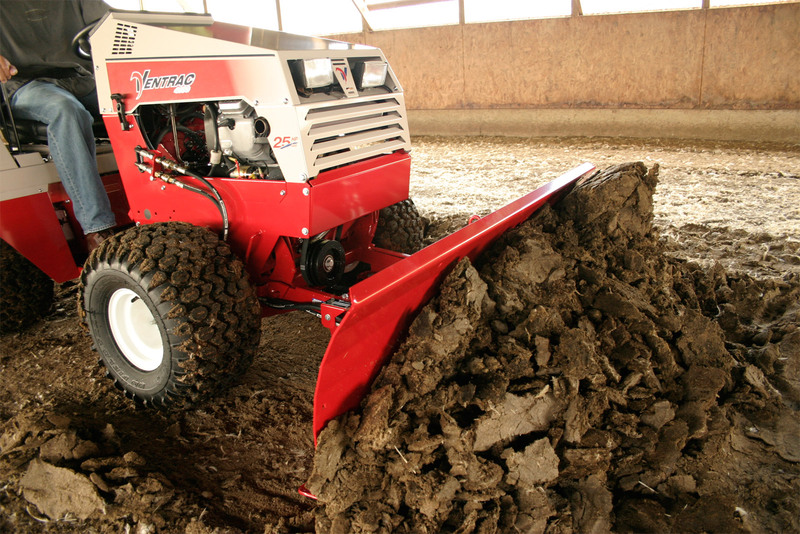 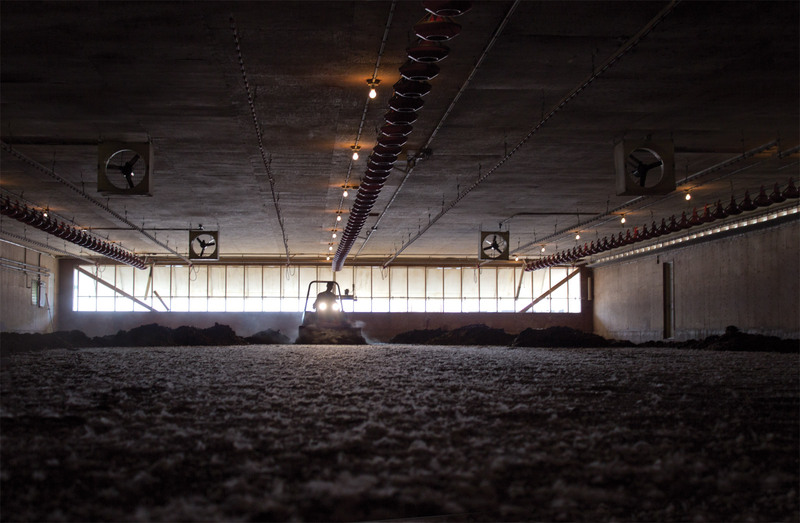 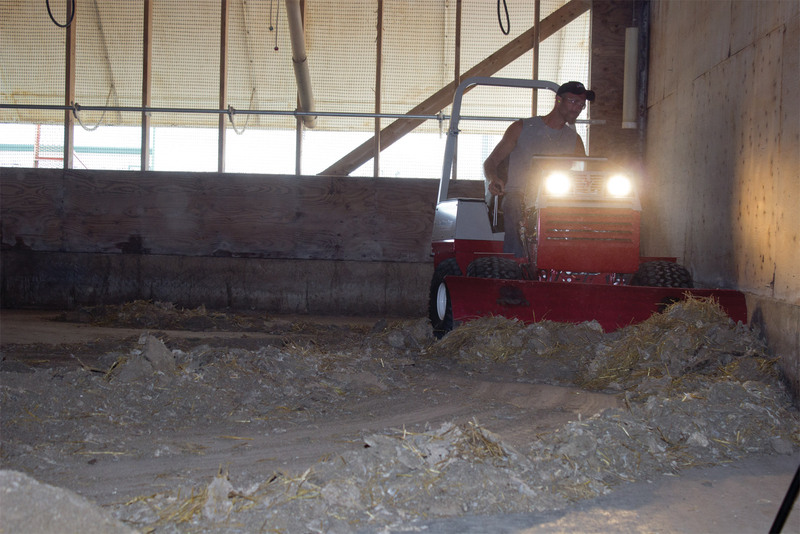 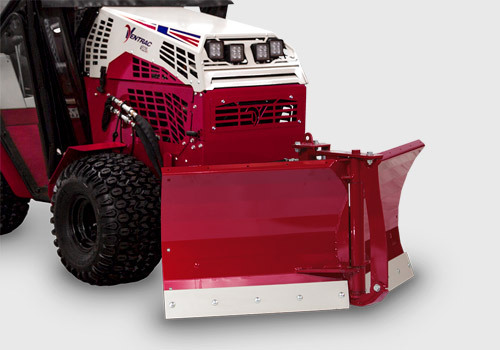 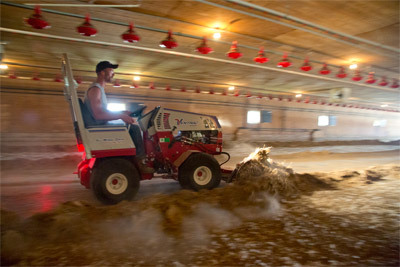 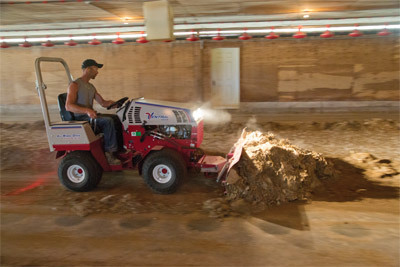 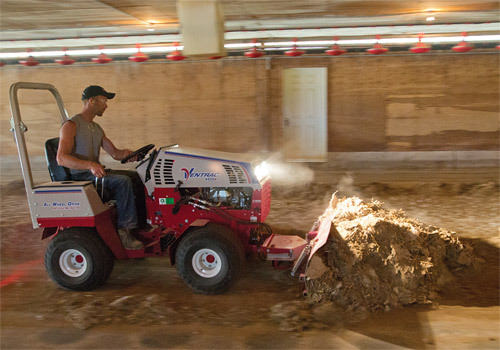 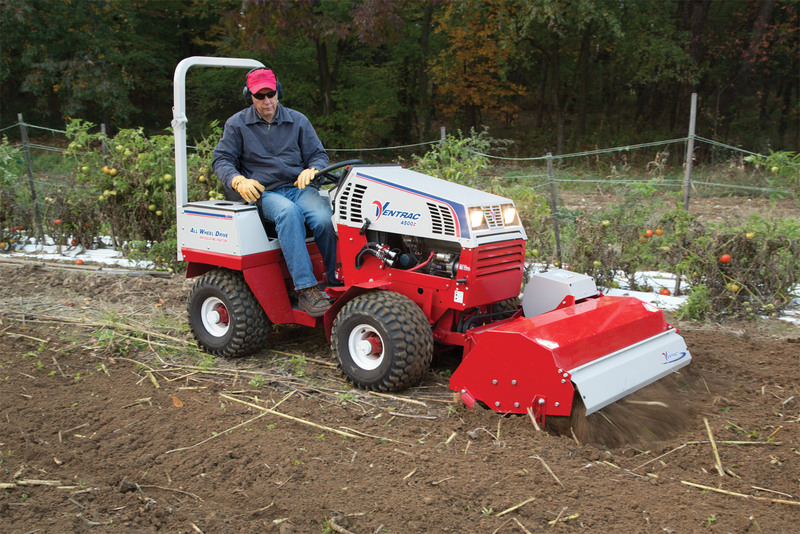 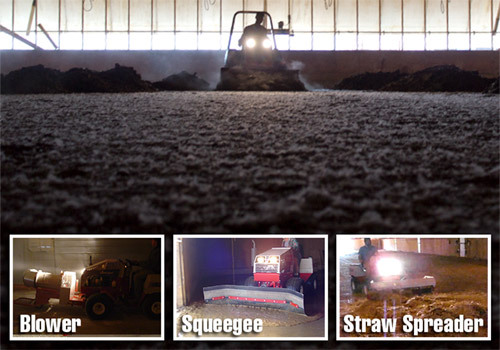 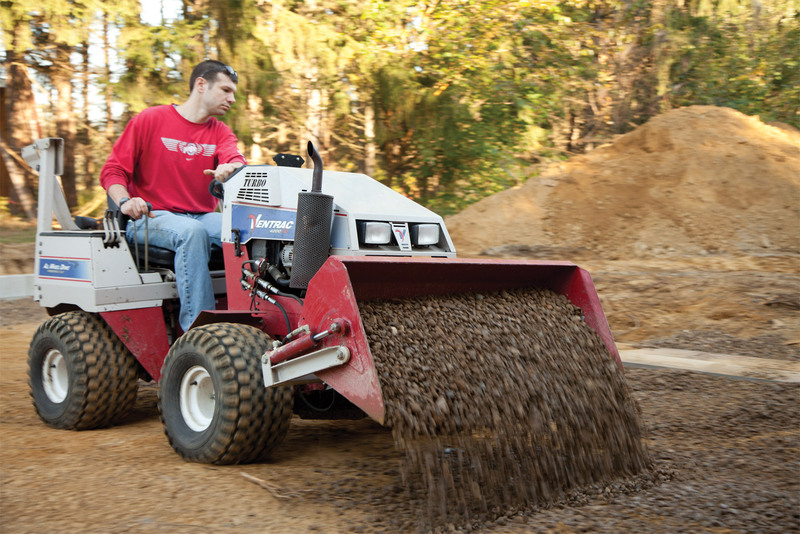 The perfect combination of power and size for cleaning poultry litter, laying out bedding, blowing debris, and squeegeeing floors, Ventrac is there to quickly and efficiently cycle your barn each step of the way. 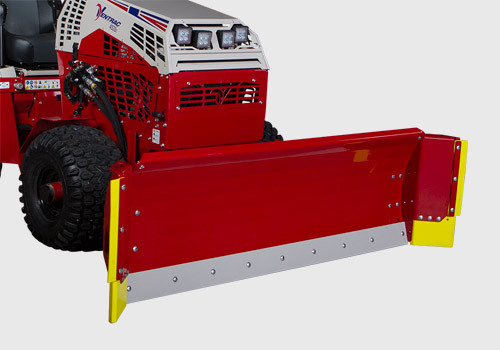 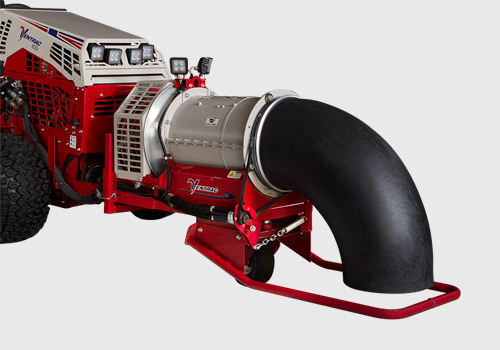 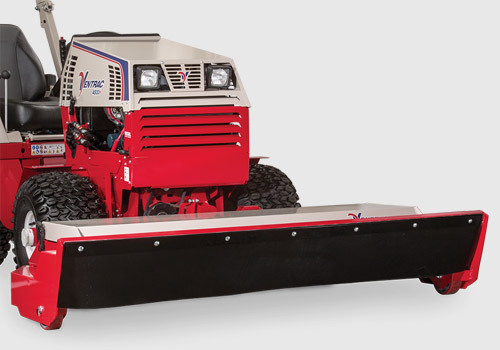 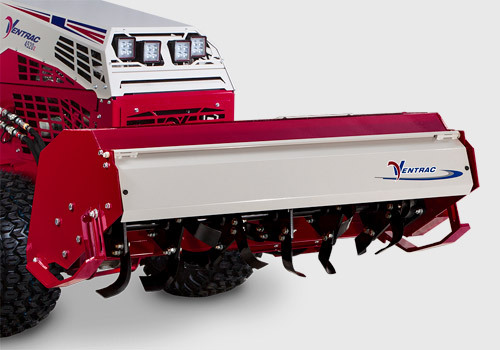 Find out how Ventrac can be your one tractor solution for your poultry farm. 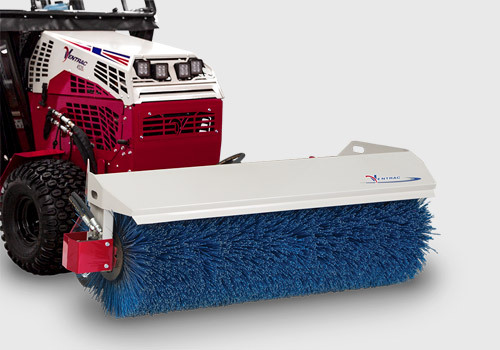 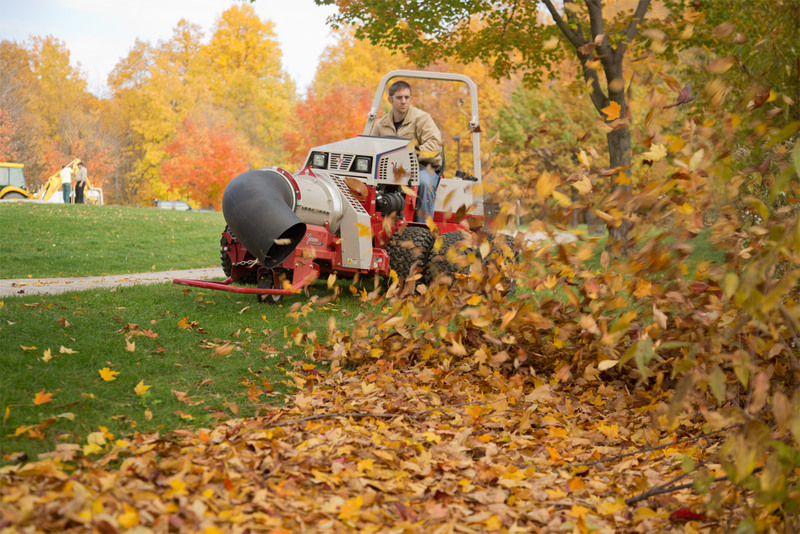 All-Wheel Drive and a powerful engine provide the traction and pushing power, while hydraulic down pressure allows you to scrape the floor clean. Get in and around corners, poles, and other obstacles. 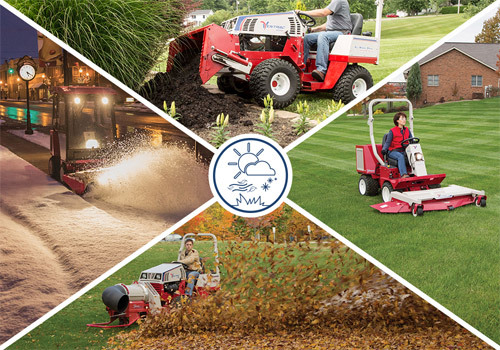 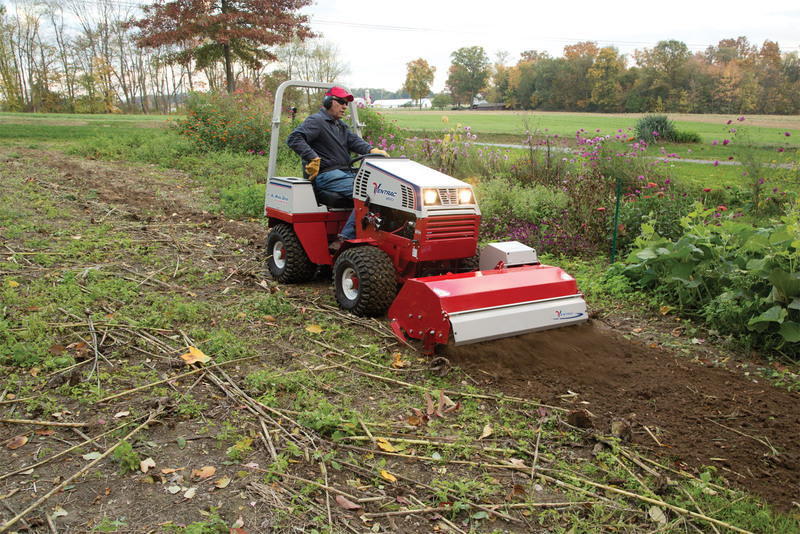 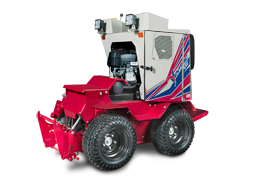 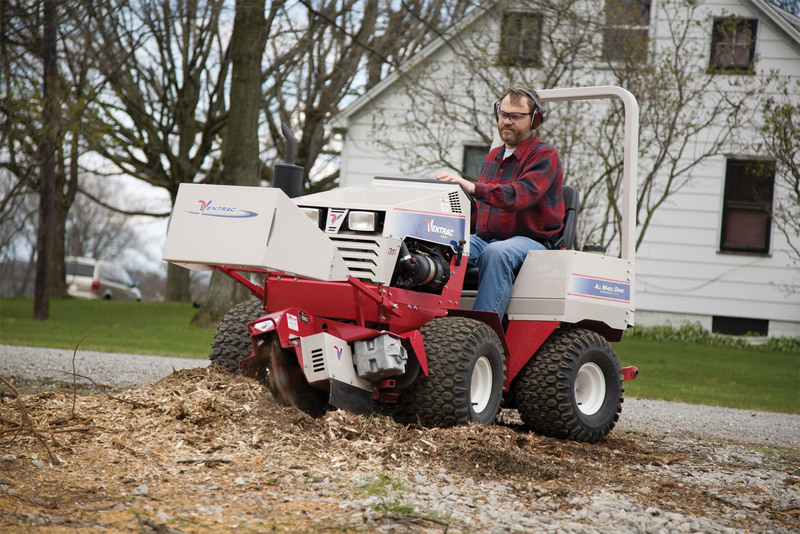 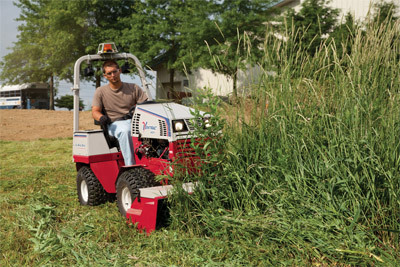 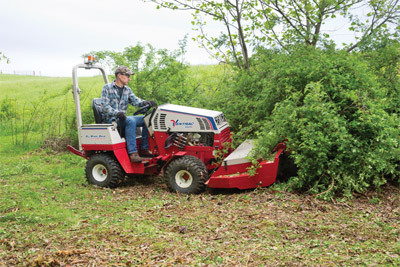 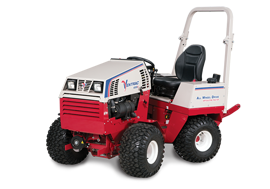 The Ventrac's unique articulating frame and compact design allow for advanced maneuverability. 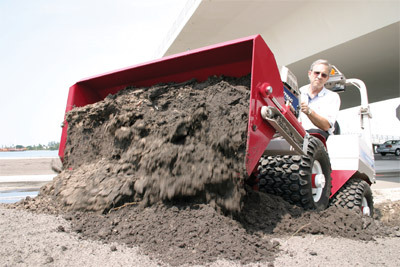 Enlarge Picture / Press Link · Power Bucket for 4000 Series - Power bucket moving a pile of dirt. 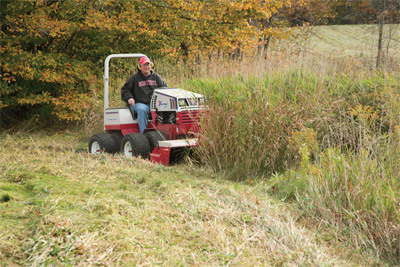 Enlarge Picture / Press Link · Ventrac 4500P using Tough Cut mower - See the difference Ventrac makes with hard to maintain and overgrown areas. 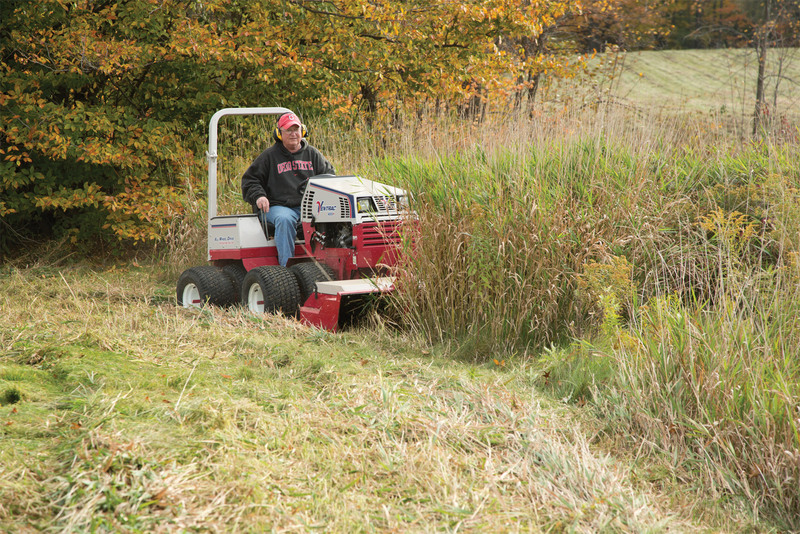 Enlarge Picture / Press Link · Ventrac 4500Y mowing tall grass with the HQ680 - Grasses and weeds exceeding six feet in height are reduced to a pile of mulched clippings with the Tough Cut mowing deck. 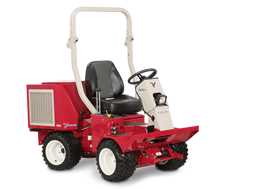 Enlarge Picture / Press Link · Ventrac 4500Z with Tiller - The Ventrac Tiller not only tills dirt but turns under dead vegetation to properly prepare a garden or flower bed. Enlarge Picture / Press Link · Ventrac 4500Z using Tiller - Front mounted Tiller allows you to see what is being tilled as you gently drive backward.